hereinafter referred to as "branches of the Main Library of the University". 4) is an element of nationwide network concerning scientific documentation and information as well as element of national network of libraries. 1. Departments and Branches of the Main Library of the University are created, transformed and liquidated by the Rector - according to the current scientific and educational demands - at the request of the Director of Library, approved by the Council of the Library. 2. Branches of the Main Library of the University are library and information centres, serving adequate Schools of Medical University of Silesia in Katowice. b) Polish standards currently in force, regulations and theoretical objectives concerning librarianship, which are not defined in these regulations and the documents referred to therein. 10) register and control of library collections. 6) carry out information and library activities. The library offers services as regards sharing collections, scientific information, reprographic, interlibrary loan against payment and free of charge. Information about the paid services and principles of their provision are included a price list of the Library and Terms of using the collections of the Library of Medical University of Silesia in Katowice. Library is managed by the Director, supervised by the Rector as regards its proper functioning. 9) carries out the tasks in consultation with the Council of the Library. 1. The Director of the Library can act supported by his/her Deputy. 2. The function of the Deputy Director of the Library is entrusted by the Rector at the request of the Director of Library with the positive opinion of the Vice-Rector for Scientific Affairs. 3. The tasks and responsibilities of the Deputy Director of Library are defined by the lists of responsibilities approved by the Director of the Library. 1. The units of the Library are departments or branches with its heads. 2. The function of the head is entrusted by the Rector at the request of the Director of the Library. h) ensures the correct operation of the Aleph integrated library system through the work of a system librarian. j) analyses the needs of the Library patrons not less often than once a year and uses the results to predict activity in this area. i) issues a Public Information Bulletin of SUM. 2. Symbols of departments and branches of the Main Library constitute Appendix 1 hereto. 1. Employees of the library are employed and dismissed by the Rector or the Chancellor authorized by the Rector. 2. Administrative and service employees are employed and dismissed by the Chancellor authorized by the Rector. Heads of the departments and branches of the Main Library are subject to the Director of the Main Library in terms of organization, operation and personnel. b) the equipment entrusted to the employee with the obligation to settling the account on pursuant to § 124-127 of the Labour Code. Lists of responsibilities for heads of the departments and branches of the Main Library of the University are developed and approved by the Director of the Library. Lists of responsibilities for the employees of Library units are developed by their heads and approved by the Director of the Library. Head of the unit in case of not having a permanent deputy for the time of his/her absence indicates the employee of the unit who will deputise him/her. Substitution must be agreed with the direct superior. The heads of the departments and branches of the Library are liable to the Director for all issues carried out by a given unit and for the actions of their subordinates. Director, his/her Deputy, heads and employees of all units of the University Library creating and processing personal database operate under the existing legislation and take full responsibility in this regard, in accordance with the relevant regulations of the Rector. 3) organizing trainings to improve librarian professional skills, trainings for users, library internships. 1. The basis for the collection management is the knowledge of the collection structure, the tasks of the Library and the needs of Library patrons. 2. Library collection consist of the library materials. According to the Act from the 27th of June 1997 on libraries (Journal of Laws No. 85, item 539 with later changes), they are, in particular, documents containing captured expression of human thought, to be distributed regardless of physical media and manner of recording the content, and especially: graphic documents (written, cartographic, iconic and musical), sound, visual, audio-visual and electronic ones. c) electronic documents as CD-ROMs, multimedia, electronic journals, hypertext, databases. 4. The Library can collect other kind of library materials than those mentioned in point 3. 1. Library of Medical University of Silesia in Katowice expands its collection through purchase, subscriptions, equivalent for loss of library materials by the readers, gifts, exchanges of redundant copies from other libraries or from other sources. 2. Library of Medical University of Silesia in Katowice may accept donations corresponding to the collection profile. 3. To accept donations referred to in paragraph. 2 the provisions of the Directives of Rector No. 43/2005 and 119/2008 shall apply respectively as well as the financial control procedures No. I / 2011 with the provision that the substantive assessment of its acceptance is realized by the Library Director. 1. In case of library materials delivered into Library of without specifications, invoices, etc. evidence of the delivery is made in accordance with the principles included in the Regulation of the Minister of Culture and National Heritage on the method of recording library materials. 2. The value of library materials delivered into the Library in such a manner is estimated by the Committee for Valuation of Library Collection appointed by the Director of Library. 3. The Committee referred to in paragraph. 2 operates on the basis of the Regulations introduced via decision of the Rector. 1. The Library's collections are subject to the registration. Registration consider the record of accessions and discards in a way that allows them to be identified and determine the quantity and value of the stock and the changes taking place in collections. Registration is done based on the eyewitness assessment and on the basis of evidence of accession to the library. 2. There are two types of registration conducted in parallel - total and detailed registration. Total registration is based on initial recognition of all materials introduced to the library (except periodicals) regardless the source of their origin. It is carried out manually in the accession register of books and special collection. Detailed registration is kept on a computer system that provides the ability to print all or selected parts of the information to create inventory list or to meet other needs of the Library. It involves recording each item separately in the inventory list. Separate inventory lists are kept for the periodicals, books and special collections. 3. Discard registration is carried out separately for each group of collection covered by separate inventory lists. The basis of detailed registration of discards are discard evidences. Total discard registration is carried out in the discard register. For individual groups of collection there are separate discard registers. 4. The library is obligated to state annually the value of collection. For this purpose the Library produces a report covering value of the materials introduced and discarded in a given period (year). The financial-accounting register of materials constituting the library collection includes accessions and discards according to the actual costs of acquisition and, in the case of materials obtained free of charge, according to the current estimated value determined by the Committee for Valuation of Library Collection. 1. Library of Medical University of Silesia in Katowice at least once a year review of its collection taking into account their relevance and usefulness. 2. Weeding of collections is carried out by the Committee for Weeding and Discards of Library Materials appointed by the Rector. 3. The Committee may propose to pass withdrawn library materials to other libraries, students or as waste paper. 4. The Committee referred to in paragraph. 2 operates on the basis of the Regulations introduced by the Rector. The rules of library collection checking and responsibilities of the Collection Checking Committee determines the Rector of SUM. Library of Medical University of Silesia in Katowice provides service to all Library patrons. Library collections are available on-site and for lending. 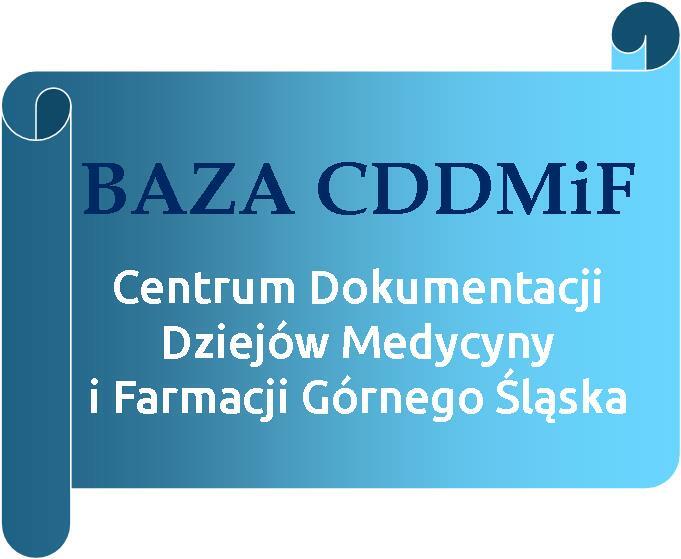 Terms and conditions of use of the Library of Medical University of Silesia in Katowice are defined in the Terms of Using Library Collections of Medical University of Silesia in Katowice introduced by the decision of the Rector of SUM. 6) preparation of list of references from bibliographic databases. 1. The Library offers the Library patrons subscribed databases via the SUM computer network and through remote access and enable them to use global information resources. 2. Using the Internet in Library premises is free of charge. 3. In case of the use of electronic databases priority is given to staff and students of the SUM. 5. The librarian on duty has the right to monitor the work currently being performed by the user. 6. The user is obliged to inform the librarian on duty about all the hardware and system damage at the time of notice. 7. The librarian on duty has the right to deny computer access to the user if the user violates the rules of using the Internet or perform other prohibited activities connected with using of the Internet and computer. Organizational Regulations of the Library shall enter into force on the date on in which it is passed by the Senate. With the entry into force of hereby Regulations, Organizational Regulations of the Library from 4.07.2007 lose their force. Amendments to the Organizational Regulations of the Library can be made in the manner provided for their adoption.